The first set of cards are the expressions. The second set are the answers. There is an answer key provided with each card’s match. 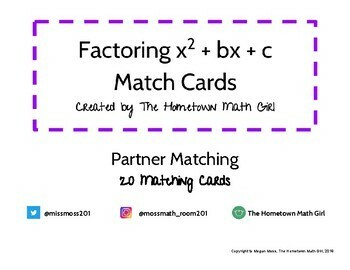 Use this as a short partner activity after a lesson, a station activity, or review before a test or quiz! Leave me feedback on how it worked for you in my TPT Store!